A replacement 1.5FE Primary school located on a steeply sloping site deep in the heart of the Royal Forest of Dean. 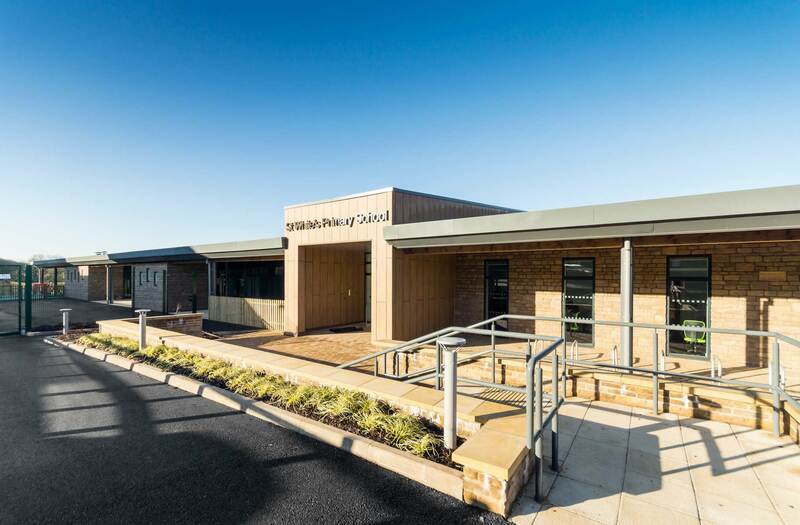 The School is a 2 storey development with a central, flexible, ‘heartspace’ linking the two levels together with a large amphitheatre feature staircase and seating area. The building captures views of the beautiful surroundings and floods the teaching and learning spaces with light, blurring the boundaries between inside and outside. The design has been developed around the concept of a whole school ethos with views from KS1 at the upper storey and KS2 on the lower storey linking the school together and creating a true sense of community.